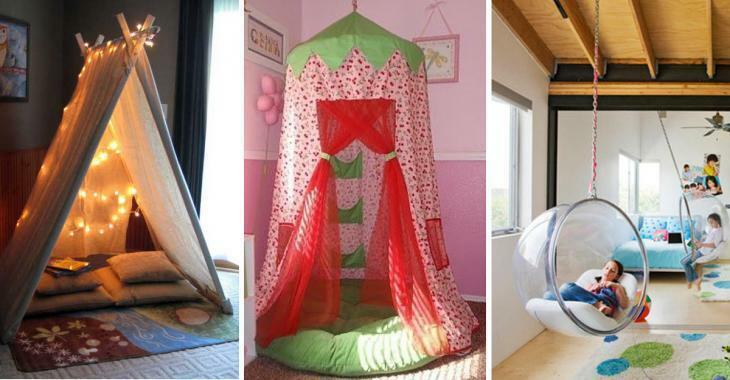 Decoration : Create a reading area in your children's room with these wonderful ideas. They will not want to leave their room. Create a reading area in your children's room with these wonderful ideas. They will not want to leave their room. 15 great original ideas for a dream reading space to encourage children to read more! The majority of children see reading as a a chore. And it is quite normal ... Except, if reading time is fun and less boring! By creating an enchanting space for example, where they will like to spend time, they will like to read. Children likes to play and don't want to be bored or annoyed with things they don't like. Do things differently! >> Children, would you like to have a nice reading space in your room? We would do it together. And this area will be forbidden to adults! You can read quietly, alone, or together if you like. But without a parent. Do you like it? No child would refuse such an offer! And you will see that reading times will be much easier during the week. >> Julianne, why would not you go and relax in your reading area after your bath before going to sleep? I'm coming in 20 minutes! Here are 15 great ideas to create beautiful reading space! 1) Add shelves, a lamp to the wall and a bean bag! So easy! 2) A bed canopy, lights, fake furs and cushions! 3) Two shelves, curtain rod and two sheers! 4) 4 pieces of wood held by 2 screws and nuts, 1 another on the top, 2 panels of curtains and white Christmas lights! 5) A toy hoops and very colorful fabrics, a big cushion for wicker chair and red tulle! 6) A tent and cushions! 7) A nice fabric that matches the colors of the room, hanged by a log of wood suspended by two ropes, 2 hooks screwed to the ceiling. 9) 2 panels of curtains, fake fur and cushions in a wardrobe that was not used! 10) A skylight, curtains, shelves and a bean bag! 11) If you like extraordinary stuff, you'll love this! The balloon chair! But be careful! You may not like the price! 12) Reading spaces that are not common! Modules specially designed to be fixed to the wall!